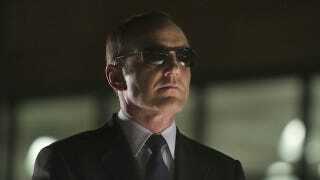 How will Agent Coulson come back from the dead for S.H.I.E.L.D.? We know that we can say sayonara to Clark Gregg's Agent Coulson if ABC doesn't pick up S.H.I.E.L.D., but just how is Joss Whedon planning on bringing back our favorite Captain America fanboy? Possible S.H.I.E.L.D. spoilers below. It's no surprise that Fury faked Coulson's death, though it certainly pulls the weight from his "death" in The Avengers. Now that Coulson is (tentatively) alive, how shall we go about bringing back the other characters Whedon has murdered?